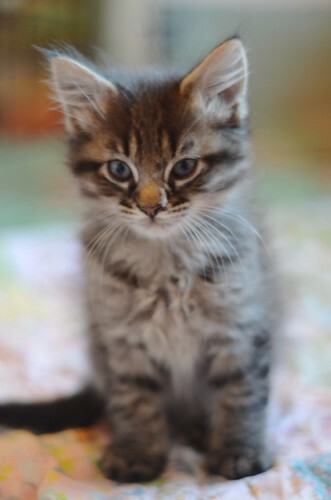 The Itty Bitty Kitty Committee: Hello H.H. 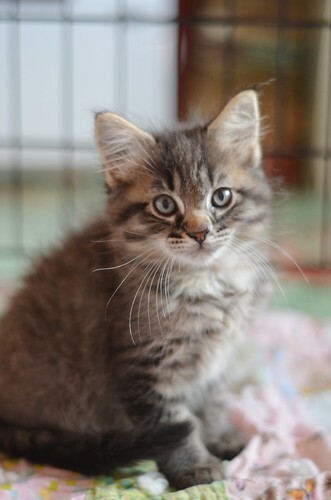 Charlene's favorite flavor of kitten has alway been the floofy tabby boy, so she's going to be so excited to meet THIS little fellow once quarantine is up. Please say hello to the very hairy Harold Higgenbottom. He's the third and final Higgenbottom, so this completes our introductions. Harold wishes you all a wonderful Monday, and hopes his adorableness has brightened your day! You have brightened my day Harold! So cute - I think I have a new favorite! OMG - I can haz floofer? I have a tabby named Harold! I can already tell that this guy will be my favorite. Harry does look a little grumpy in the first picture...the last one not so much. all that floof makes him look like a very sturdy fellow! Harold - no need to look so grumpy! The quarantine is for both Charlene and all the Higgenbottoms! Soon, real soon you can have a Beanie Bath! Welcome! They are all worth adopting but the drive is far to long! LOL - the blog post title today felt like a personal greeting to me as those are my initials too! What a sweet little guy! I expect there will be many, many baths compliments of your girls in his future. 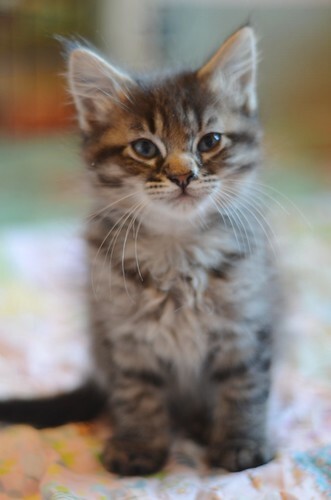 Bean's going to fall in love with this little guy, and be heartbroken when he goes to his furever home--and so will we. What a cutie! The slight squint to his left eye gives him a very unique expression. He looks slightly disgruntled in the first picture. Hairy Harry is the cutest!! Welcome, Higgenbottoms! We are late to the pawty, but delighted to meet all of you. Can't wait to see what happens when you're all out of quarantine! Oh, Bean is going to love the flavor of Master Harold Higgenbottom, I just know it! Harold's slightly grumpy face is the cutest thing ever! I want to move to Washington just so I could adopt him. What a cutie pie! Hairy Harold and the Higgenbottoms! It's a rock band! I love those stout little legs!